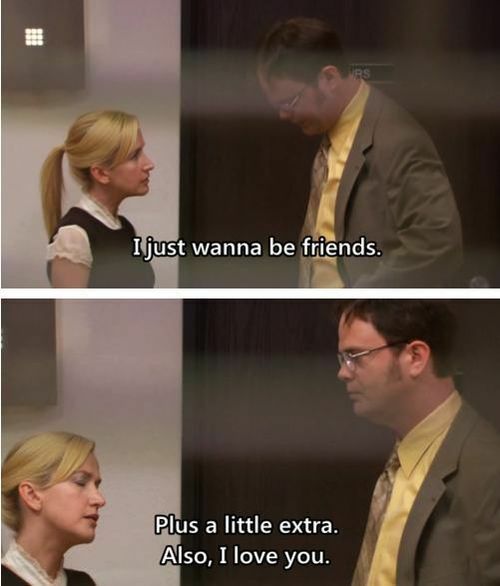 "I just wanna be friends. Plus a little extra. Also, I love you." Jim never did say anything. *Even though she was crying about another man.